In my last several articles, I have taken a look at the System Protection functionality in Windows and some of the recovery tools. Those tools are beneficial for recovering data but there is another tool that can be used more as a preventative measure. 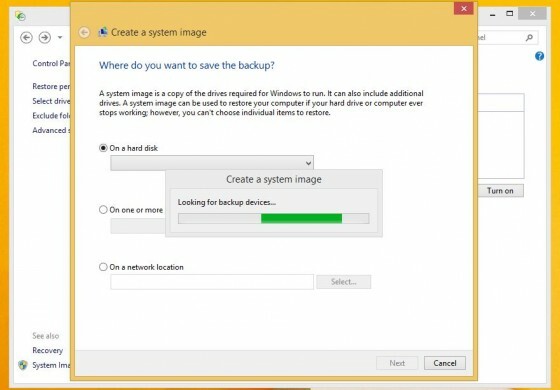 In this article, I am going to look at why people should use Windows backups and the types of backups along with identifying some media types used to make backups. There are a number of reasons that people make backup copies of their data. The biggest reason is to protect their data in case of equipment failure. If a user has a system image they have created, the user can restore the entire drive quickly from the system image to get the computer running again if something has corrupted the operating system or the hard drive has to be replaced. Users can also recover individual files and folders from Windows Backup. In Windows, there are two types of backups that can be used. The first type, Windows Backup, is used for backing up user selected files and folders. The second type of backup is a system image which is used to create a full copy of the selected hard drive. 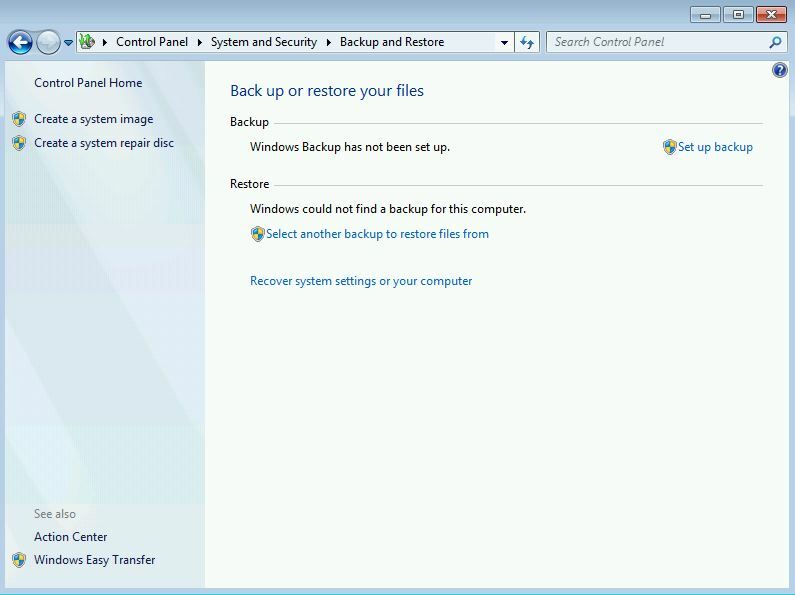 The first type of backup is called Windows Backup. With this method, users are able to select what data they want to have backed up. Users can select files, individual folders, libraries, and drives such as hard drives or solid state drives. Users can manually backup their data at any time or they can let the backup occur automatically at the scheduled time. Users can use the default schedule or they can choose the day and time for the backup. After the initial backup has been completed, Windows will automatically detect changes to files as well as detect new files in backed up folders. After changes are detected, those files will be added to the backup. Windows may also create a new full backup if it becomes needed. The second type of backup that users can create is called a system image. A system image is an exact duplicate of a selected drive and includes the Windows operating system, programs, files, folders, and system settings. Using a previously created system image will restore the entire contents of the drive. Users cannot pick and choose what files and folders are restored. A system image does include a backup copy of personal data but using a system image to restore personal data is not recommended. 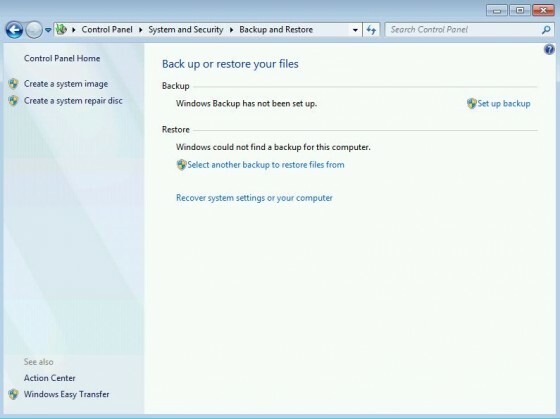 Windows Backup is recommended when personal data such as files and folders needs restored. Users can include additional drives to the system image when creating a manual backup. In Windows 7, Microsoft implemented a method to recover previous versions of files and folders. While this option should not be considered a true backup method as the previous versions of the files are stored on the local hard drive, it can be used to recover individual files or folders when there is not an issue with the physical hard drive. If the hard drive fails or the data on the drive becomes corrupted, the previous versions of the files or folders no longer would be available. That is why methods such as Windows Backup or creating a system image are preferred as those backup methods are stored in a different location than the original data. In Windows 8, Microsoft converted the previous versions system to File History. With File History, Microsoft merged Windows Backup and previous versions. File History requires users to select either an external hard drive or a network location for the backup and then any changed or new files are added to the backup like Windows Backup did in previous Windows versions. For both previous versions and File History, Windows may overwrite old files if needed depending on the configuration selected by the user. There are some things that users need to take into consideration when planning to create backups. Users should not use the same hard drive to store the backups where the original data is stored as the data may be lost if the hard drive fails or the data becomes corrupted. Also, users should store the backup media separate from the computer if needed. Users should store it in a secure location if concerned about unauthorized access to the backups. This is especially important for businesses who need to be able to recover from issues quickly. There are several types of media that can be used when creating backups. Four types of removable media include optical discs, flash drives, external hard drives, and tape drives. Optical drives such as CDs, DVDs, or Blu-ray discs can be a good way to store backups on when the backups will be stored at a different location as they are easily portable but a downside to using optical discs is the space limitation per disc. Users may need more than one disc to store the backup or system image. Another method is to use flash drives. Flash drives address the storage capacity issue of optical discs as newer flash drives can store far more data than most optical discs. The third type of removable media is external hard drives. Like flash drives, this type of media can store more data than optical discs but the downside is that external hard drives can be bulkier than flash drives or optical discs. Some external hard drives also require an external power source as well. The fourth type of removable media are tape drives. These are used more in business environments where the tape drives may be a secondary backup stored off site. Two additional storage media types are available. Users can save their data on network-based or cloud-based storage. For Windows Backups or File History, these are good ways to store user data but I personally would not use network or cloud storage for storing a system image. My reason for not using either of these methods is simple. If the network or cloud storage location cannot be accessed to get to the system image for using in recovering from a computer problem, it does no good to store the system image on network-based or cloud-based storage. Instead, I use removable media to save the system image. I then use network and cloud storage to save my personal data using either Windows Backup or File History. I hope the information is this article helps in explaining what backups are, why they should be used, and what types of backups are available for Windows. In my next few articles, I will be looking at the steps for how to create and restore backups and system images for Windows 7 and Windows 8.1. I looked at the sub-heading that said ” Why Backup?” and all I could think of was “why not?? ?” LOL. I’m definitely a firm believer in backing up, so it’s great how you have simplified the process to those who are just starting to do so. u Explained it 2 me so i can understand Thank you !